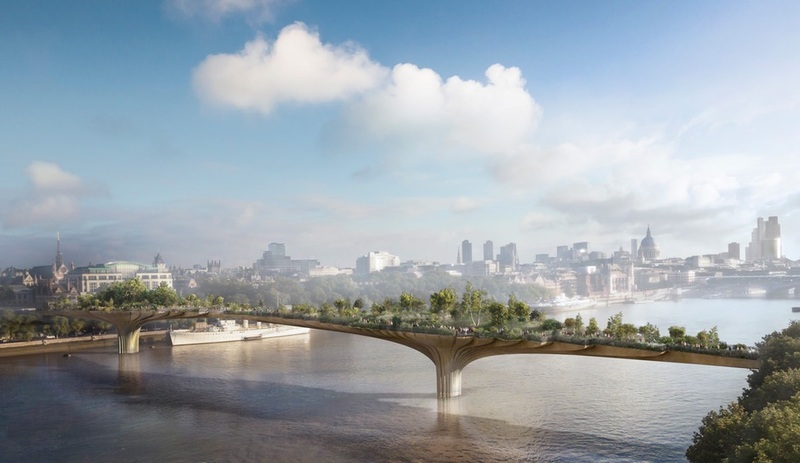 In 2004, London architect Thomas Heatherwick and British actor Joanna Lumley (of Absolutely Fabulous fame) joined forces on Garden Bridge – an incredible 366-metre-long pedestrian overpass that will cross the River Thames, linking the Temple area with the South Bank. 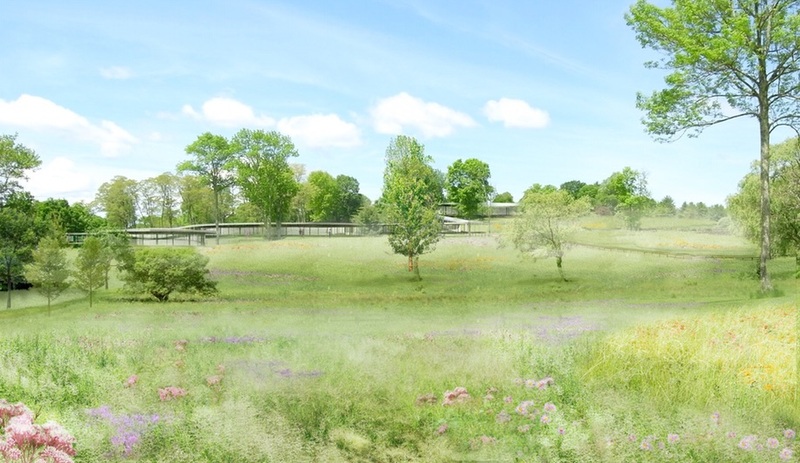 The bridge, shaped like two giant planters and dramatically clad in copper-nickel, will double as a green oasis with the planting of 270 trees, 2,000 shrubs and 64,000 flowering bulbs. 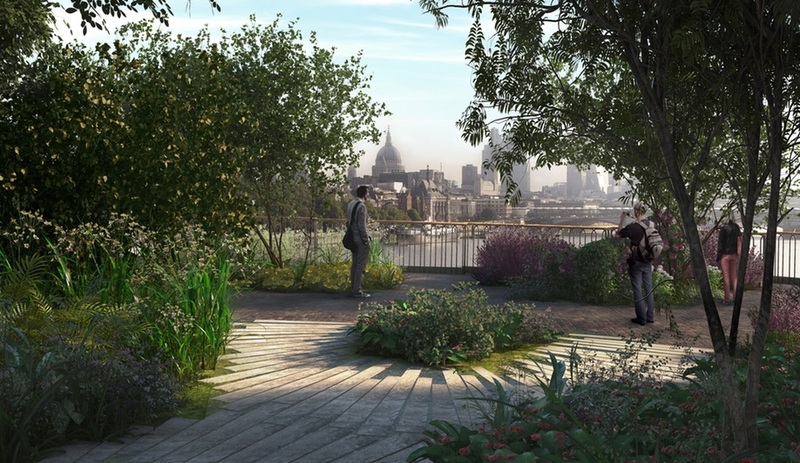 It will become yet another major horticultural marvel in a city famous for its green thumb. So far, £60-million has been raised from public coffers to fund the £175-million idea, but as the proposal begins to move ahead, critics have emerged. 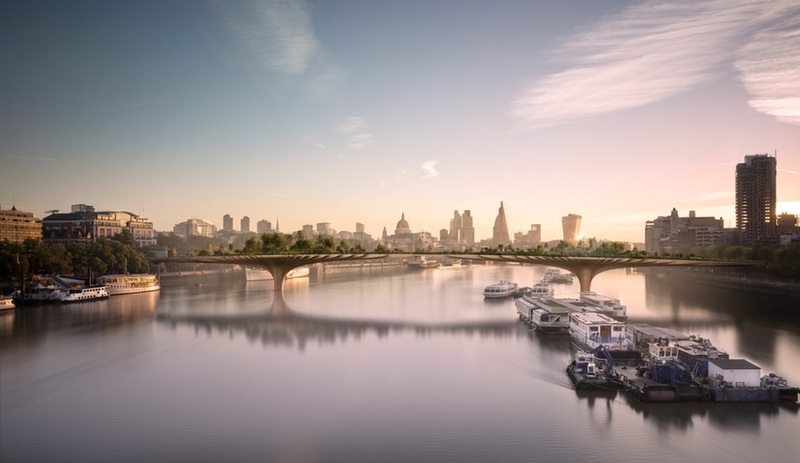 Some have called Heatherwick’s design simply “crap” (a point of view held by novelist Will Self), while others are asking how public money has found its way into a project that was initially supposed to be entirely privately funded. Regardless of the nay-saying, name-calling and political scandals, construction is slated to begin in early 2016, with a launch date some time in 2018. 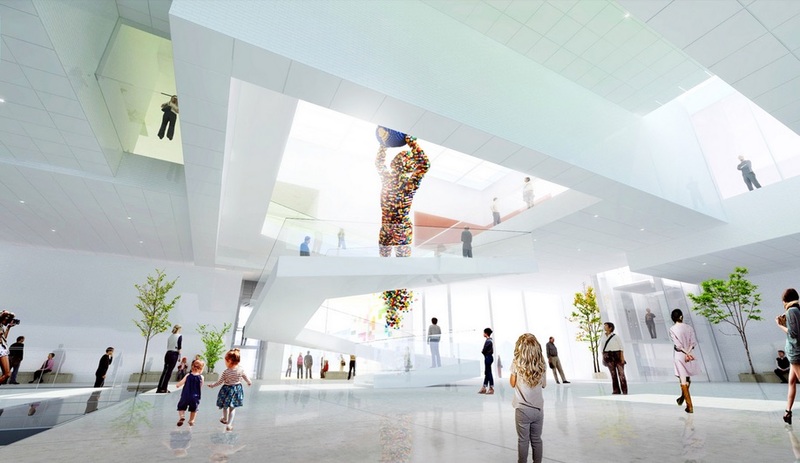 Construction on Bjarke Ingels’ Lego headquarters in Billund, Denmark, got underway last year with a unique groundbreaking ceremony that saw Ingels himself lay the first stone – in the form of an oversized toy brick. 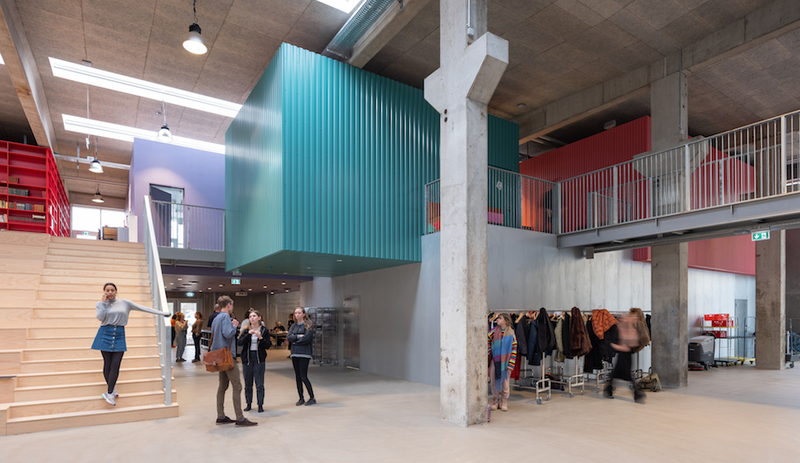 From corner to corner, his design is clearly inspired by the world’s favourite toy blocks, here transformed to architectural scale to create a 12,000-square-metre village. 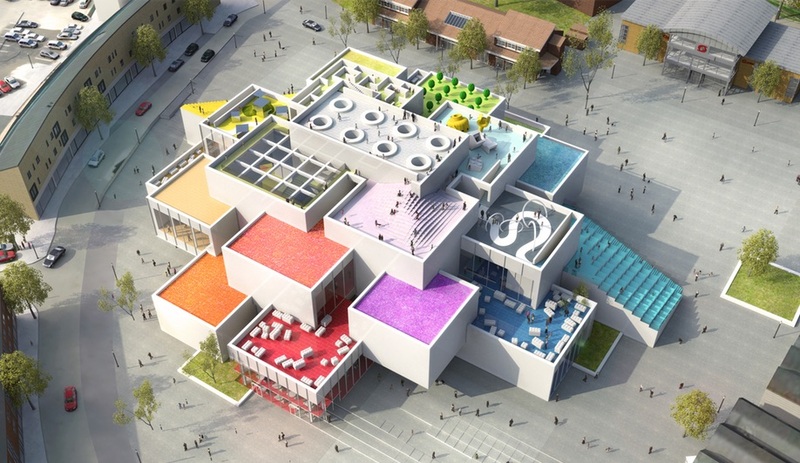 A series of stacked and staggered white modules are topped with colourful roof terraces and house a variety of public spaces including a cafe, Lego shop and roughly 1,800 square metres of open space that the toy maker hopes will be used by the local community – as well as tourists – to just hang out. It’s scheduled for completion in 2016. Is there a more timely project than the Smithsonian’s National Museum of African American History and Culture? 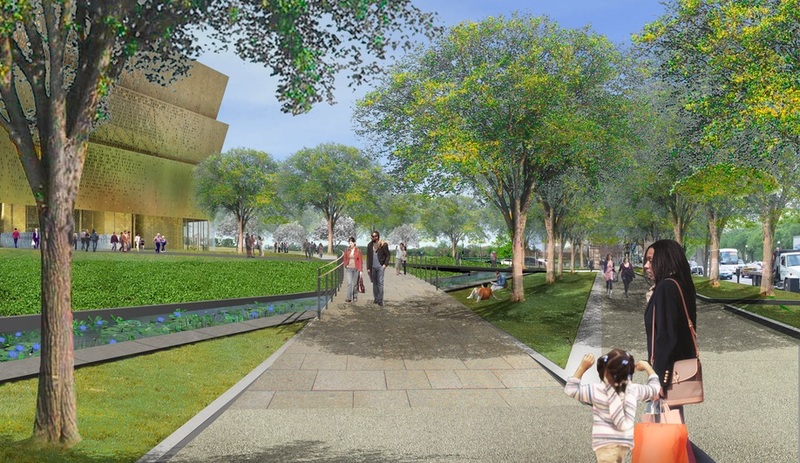 In 2016, the building will finally open on the National Mall in Washington, DC – and it will be inaugurated by President Obama. 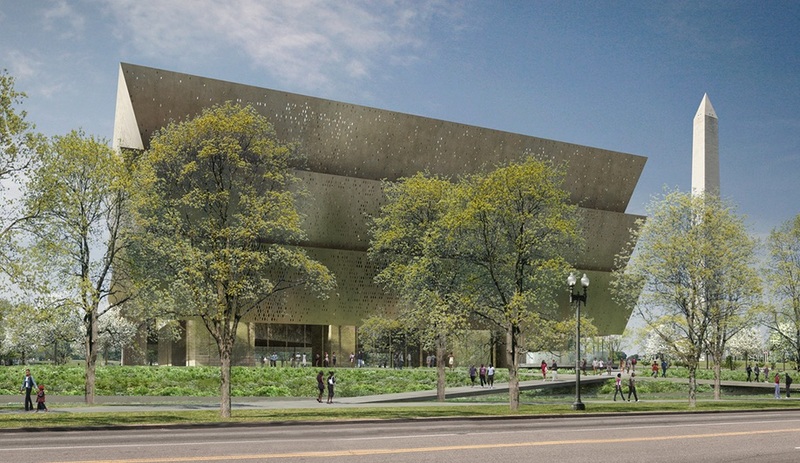 Telling the story of 400 years of African American history, from slavery to the civil rights movement and the present day, the building is reminiscent of a ziggurat – an inverted one that expands towards the sky in praise of a resilient people. “It’s not a story of a people that were taken down, but actually a people that overcame and transformed an entire superpower into what it is today,” architect David Adjaye says. “The sacrifices of the African-American people have made America better.” Adjaye is part of Freelon Adjaye Bond / SmithGroup, the design team behind the building, which features five above-ground and five subterranean levels. 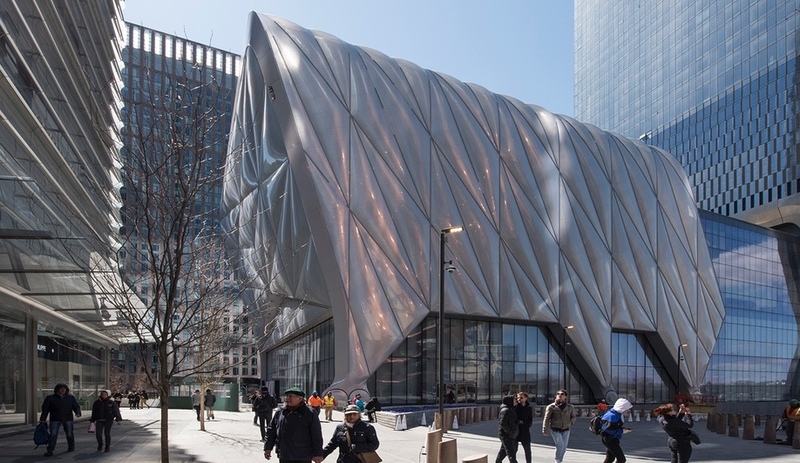 When it’s finished, its cladding, made of 3,600 bronze-finished aluminum panels inspired by the ironwork of freed slaves, will shimmer like a corona. 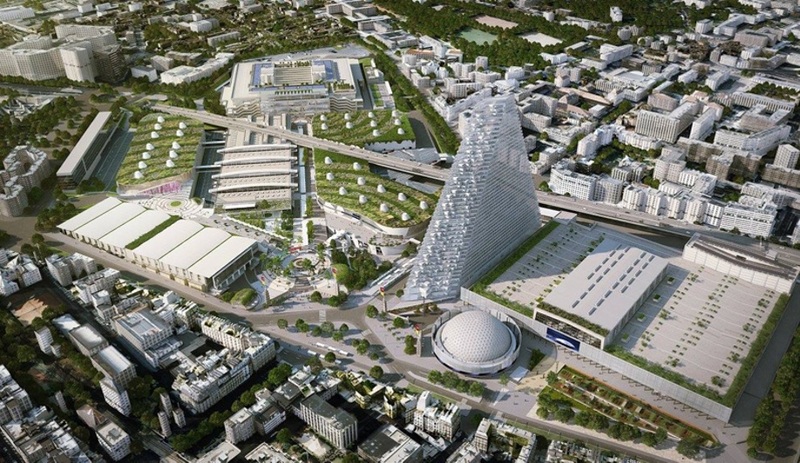 It took two contentious rounds of voting by city council, but on June 30, Swiss firm Herzog & de Meuron received the green light to begin construction on Tour Triangle in Porte de Versailles, a neighbourhood on the southwestern fringe of Paris. 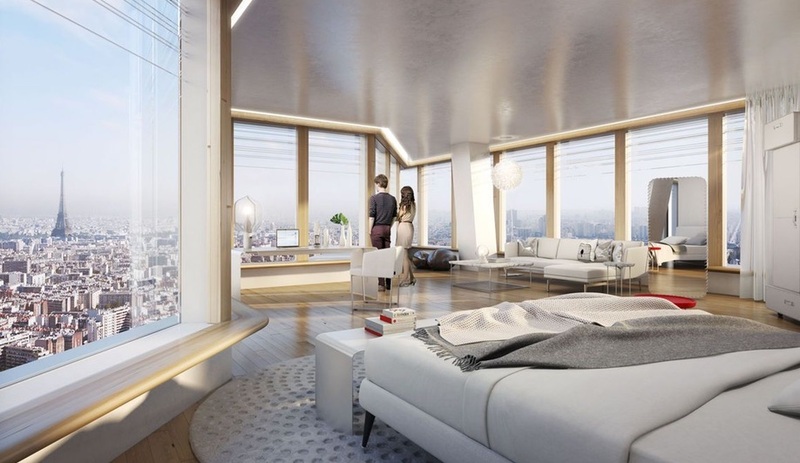 First proposed in 2008, the 42-storey tower will become the third-tallest building in the city, overshadowed only by the 324-metre Eiffel Tower and the 209-metre Montparnasse Tower, and it will house a 120-room luxury hotel, office space and various cultural attractions. Locally, the all-glass structure has been met with fierce criticism by neighbours who claim it will have them living under a shadow. Some politicians have also alleged the design is not energy efficient enough. 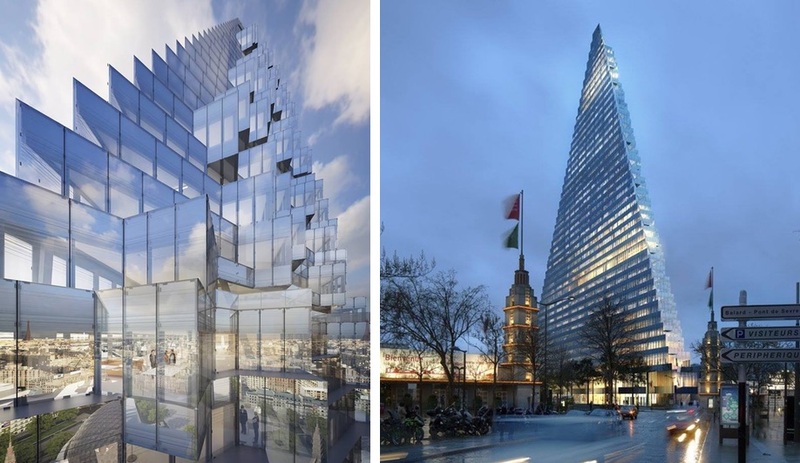 But the architects envision Triangle as a future landmark in an area of Paris that is in short supply of iconic destinations. Unibail Rodamco, Europe’s biggest property group, is behind the development and has put €500 million into the project, due to be completed in 2018. MAD has no fewer than 10 massive projects underway, including its first residential building in the US, where the firm also opened its first satellite office earlier this year. 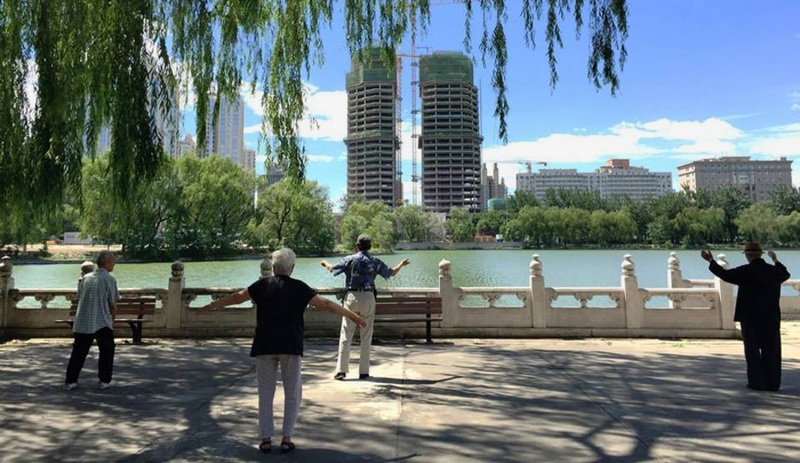 While some are still in the design phase, others, including Fake Hills and Chaoyang Park Plaza (above) have already topped off. 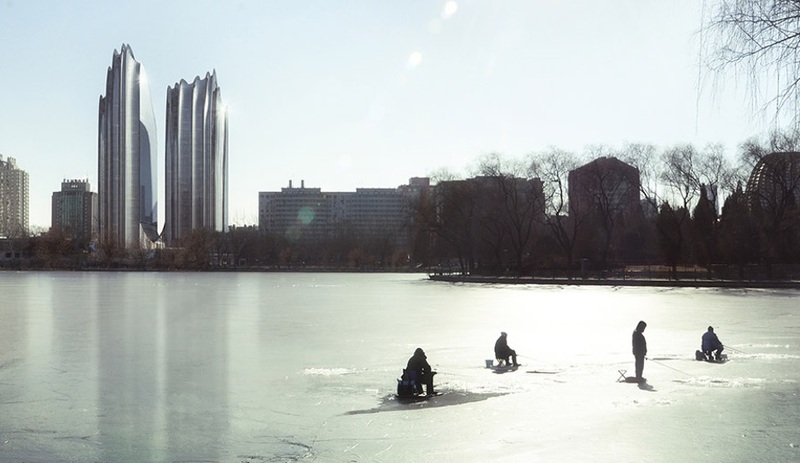 Located in MAD’s hometown of Beijing, CPP’s asymmetrical towers take inspiration from the mountains of China, with a ridged glass facade reminiscent of a 120-metre-tall waterfall. The appeal of nature is a theme that’s carried throughout the complex. 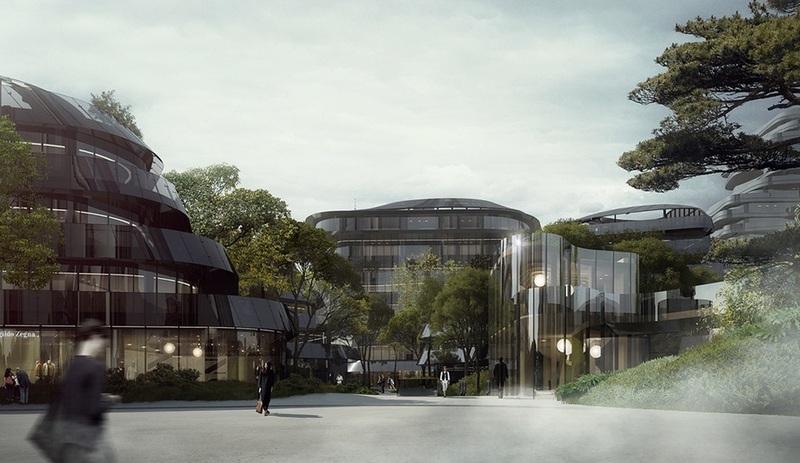 When it opens in 2016, the main lobby, with a soaring ceiling that crests at 17 metres high, will be filled with the sights and sounds of running water to evoke the feeling of a mountain valley, while four office towers to the south will have rounded curves like river stones eroded over time. Although the complex is in China, the Unites States Green Building Council has awarded the project LEED Gold status. 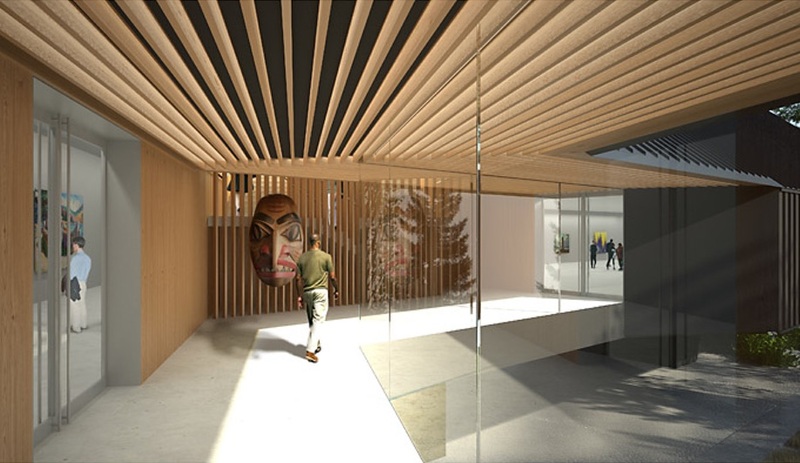 Set to open later this year in Whistler, BC, this museum is a permanent home for Michael Audain’s personal collection of regional art, including paintings by Emily Carr and First Nations masks. Patkau has delivered a restrained volume that not only acts as a quiet backdrop for the exhibitions, but also melds subtly into the mountainous landscape, with a dark metal cladding that allows it to disappear among the shadows of the surrounding evergreens. 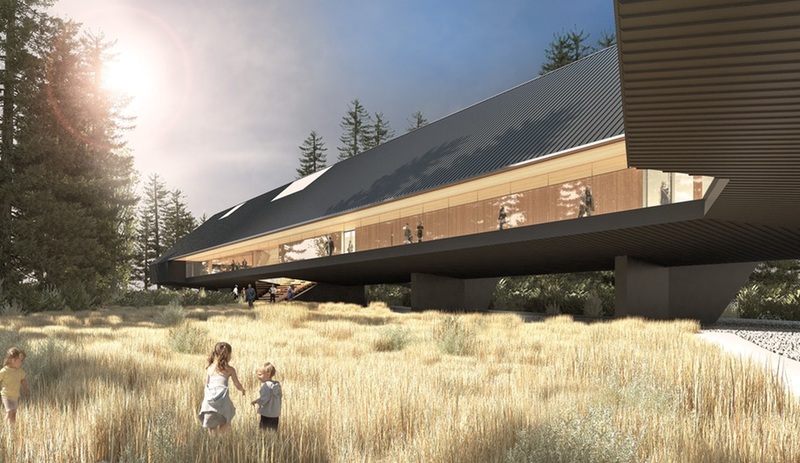 The challenges of the site – the Fitzsimmons Creek floodplain – were addressed by elevating the 5,200-square-metre volume a full storey above ground, which also minimized impact on the forest. Set on the grounds of a former car park in Santander, Spain, Renzo Piano’s U-shaped Centro Botín hugs the seafront, establishing a visual and physical connection between the historic city centre and the water. Reflecting both sky and sea, off-white ceramic-tile cladding with a gleaming mother-of-pearl finish will bring an ethereal lightness to the centre’s two structures. 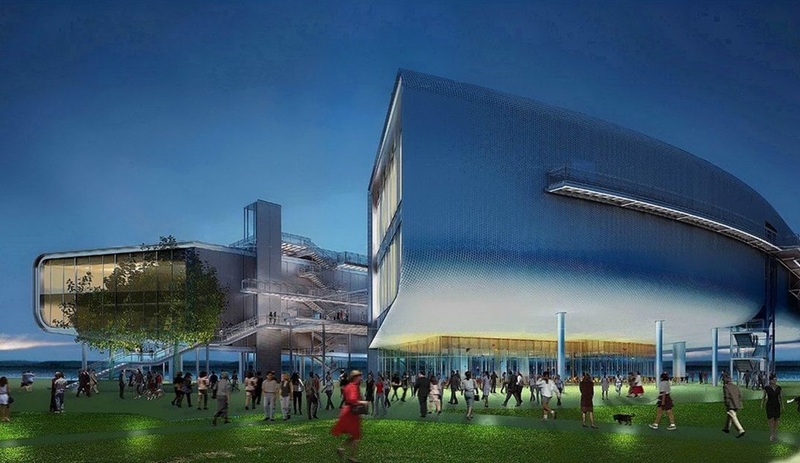 Joined by an elevated walkway, these dual wings will encompass a 2,500-square-metre exhibition space with an open-air amphitheatre, a 300-seat convertible auditorium and gallery spaces. 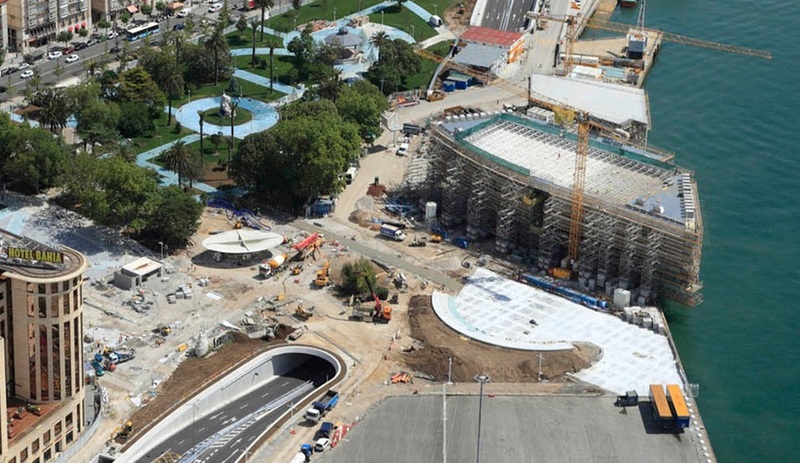 To help draw visitors, a 200-metre-long tunnel was built on the grounds, and the surrounding Pereda Gardens will more than double in size, extending its green space from the water’s edge into the city fabric. 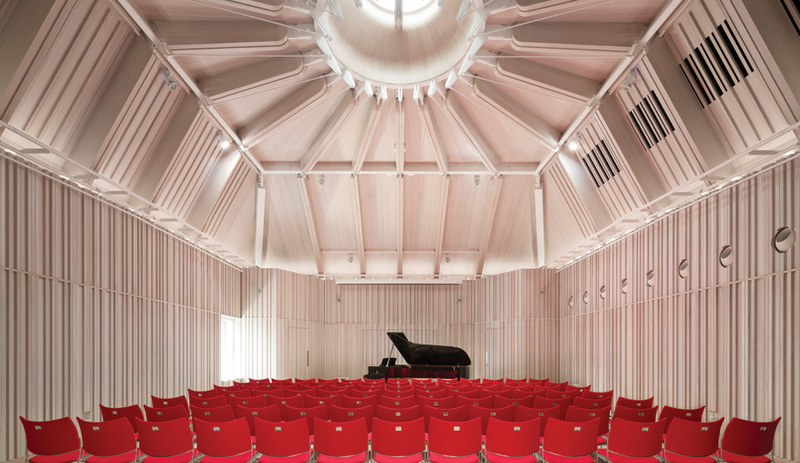 When it opens later this year, the venue will provide a vital meeting place to celebrate art, culture and education, and strengthen the Botín Foundation’s aim to stimulate cultural, social and economic development in the city. New Canaan, Connecticut, is getting another glass masterwork. 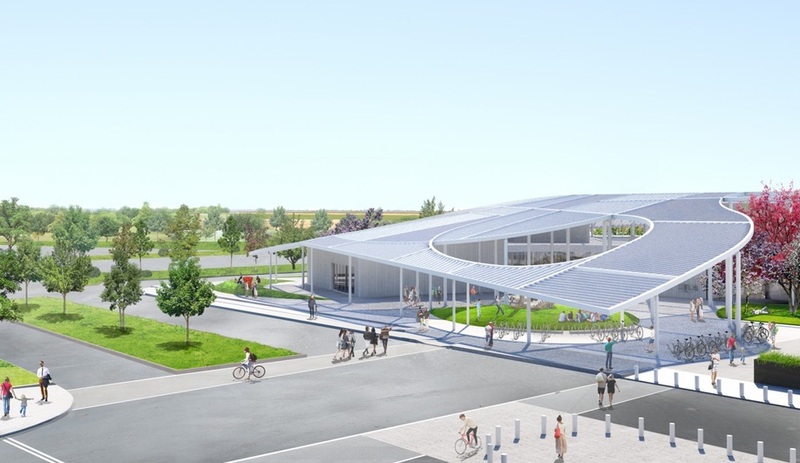 While the soon-to-be complete Grace Farms project, designed by Pritzker-winning Japanese firm SANAA, might become just as iconic as Philip Johnson’s famous Glass House, it will also be much more accessible. 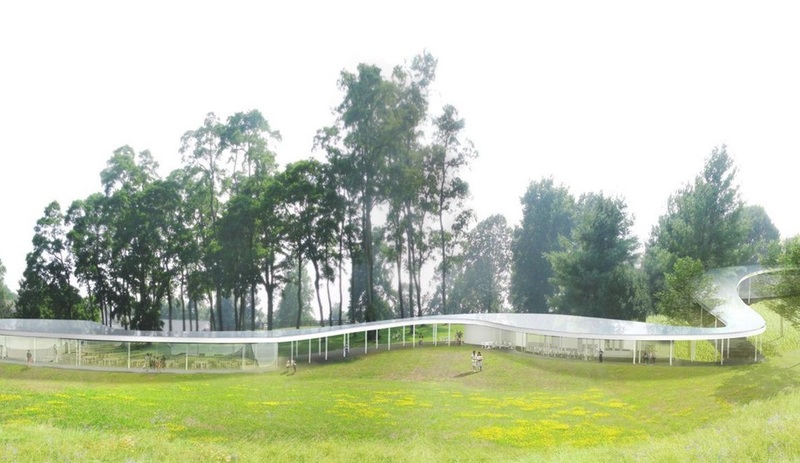 Snaking across a public park, the low-slung building – an 8,000-square-metre structure made of glass, concrete, steel and wood and topped by an uninterrupted roof – was commissioned by the non-profit Grace Farms Foundation, which also owns the land. 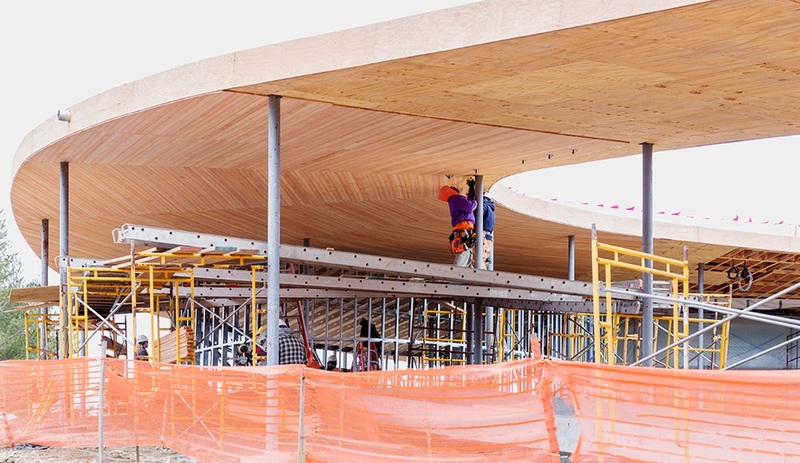 It will accommodate a variety of community functions and recreation programs when it opens in the fall, in pond-like spaces – including a 700-seat amphitheatre, a massive dining room and a vast gym / multipurpose room – that are arrayed throughout its sinuous form. 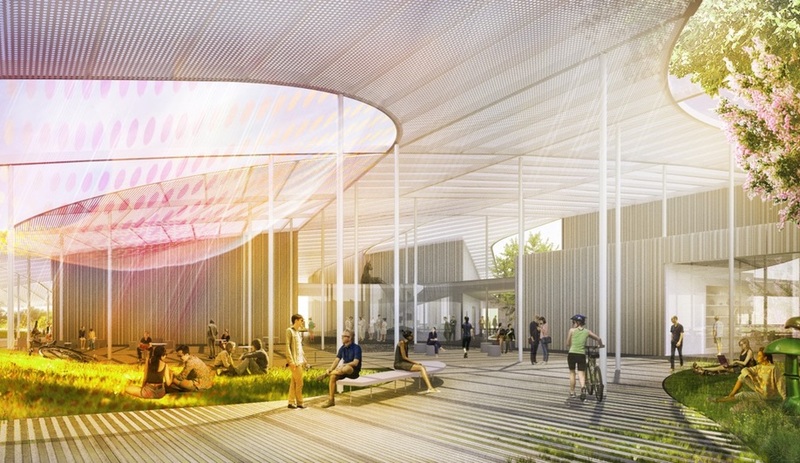 Mimicking the patchwork of fields in the distance, SO-IL’s Shrem Museum of Art on the University of California’s Davis campus sports a tapestry of its own, in the form of a 4,650-square-metre permeable canopy that extends over the entire site, buildings and all. 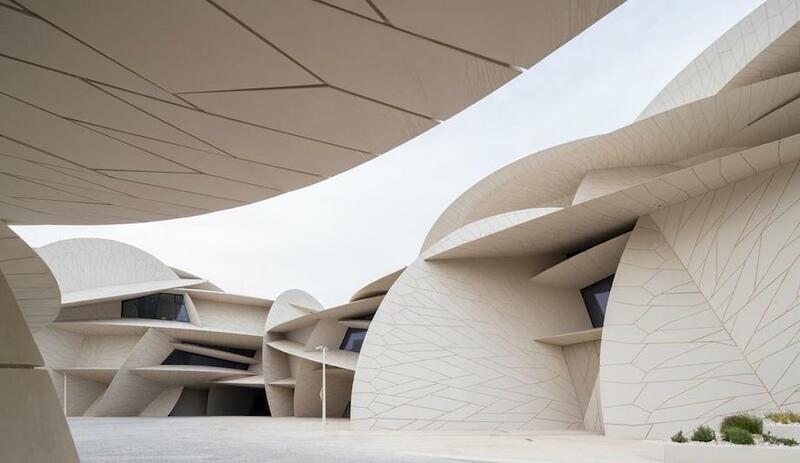 It’s a gesture that simultaneously blends the built environment into the natural one, offers shade to the museum’s visitors and unites its buildings under a single identifiable landmark. 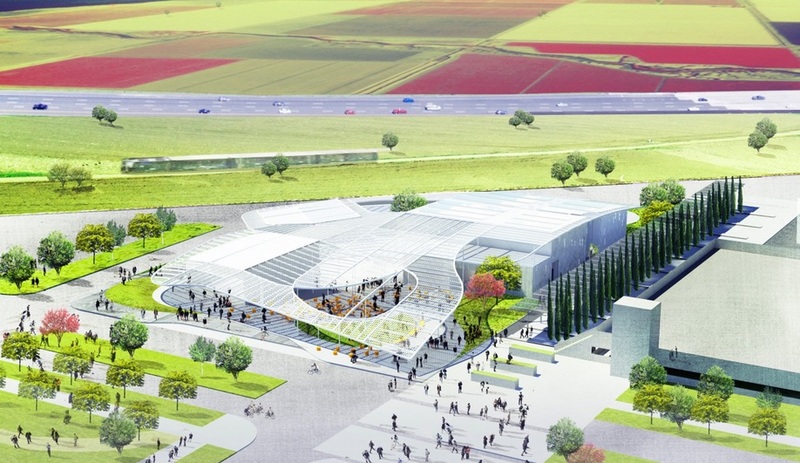 When it opens in 2016, the centre will offer UC Davis 2,700 square metres of new gallery space spread across its two-storey height, which will be devoted to an extensive collection of Old Master prints, as well as sketches, ceramics and other antiquities. Chicago-based Studio Gang looks to the stars for its next tower, and specifically the sun. 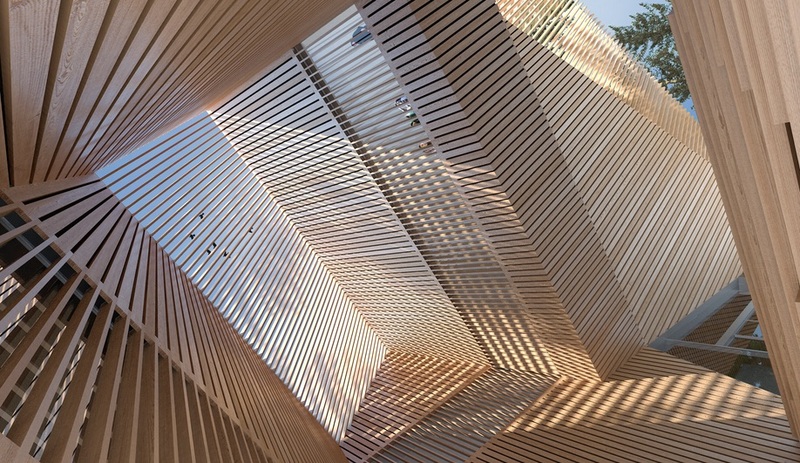 The forward-thinking collective is using what it calls “solar carving” to shape the building, taking into account the angles of the sun; here, that means sections are shaved off an orthogonal block to allow light to stream onto the neighbouring High Line park in Manhattan. 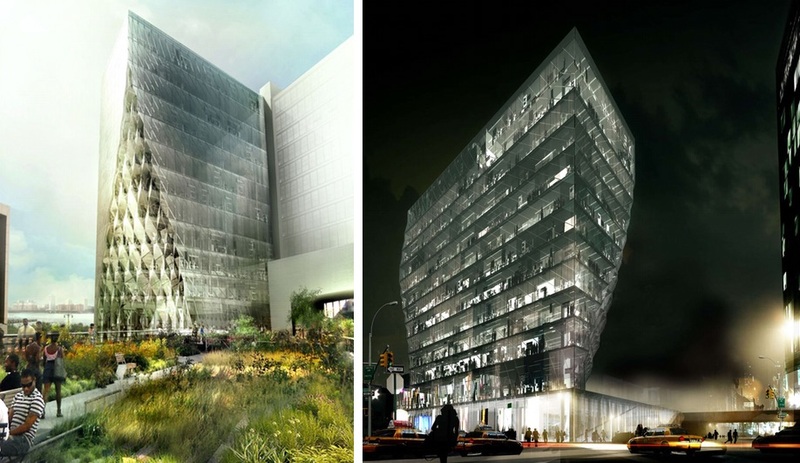 Sited between the park and the Hudson river, Solar Carve Tower expands on the firm’s theory by looking to the surroundings to further dictate its faceted plan; following this approach, the gem-like building maximizes views of the park, natural sunlight and fresh air flow. When completed later this year, the ethereal glass tower will house nearly 57,000 square metres of office and retail space – a major gesture that will transform the High Line, and a thoughtful one in sync with a part of New York where new thinking is the norm.